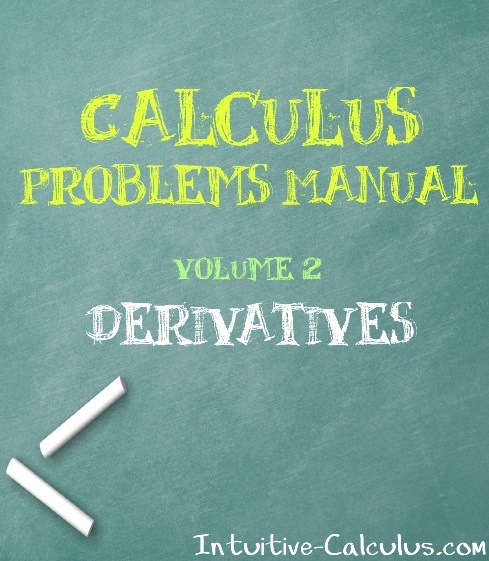 My purpose with this site is to help you deeply learn calculus. I know from experience that type of learning only happens when you solve problems on your own. I cannot force you to do that, but I can give you all the resources to make it easier and more enjoyable. 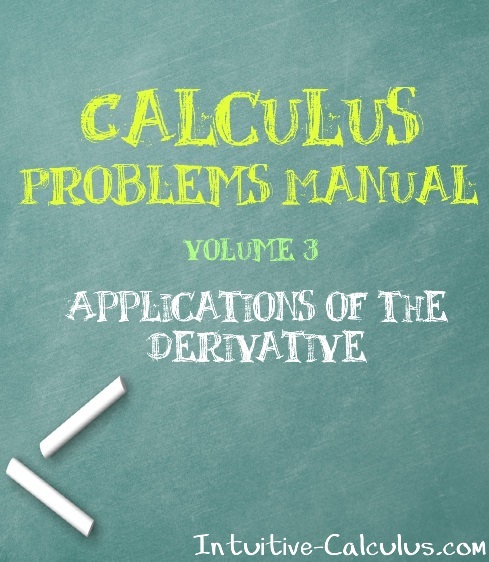 The Calculus Problems Manual can help you learn the skills to solve any standard calculus problem. 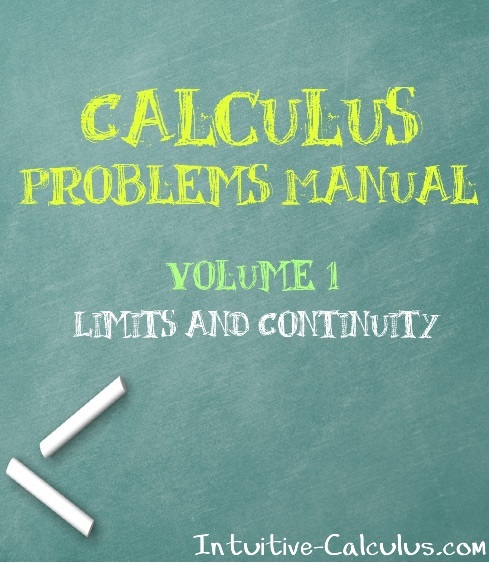 This is a series of downloadable eBooks that will guide you to learn all the problem-solving techniques used in calculus. This can really come in handy if you are taking a course at school or preparing for a standarized test, such as the AP Calculus exam or the GRE. It will complement the core material in your couse if you are taking one at school. It can also greatly serve you if you are self-studying calculus. In this short and to-the-point guides we will quickly go over the basic theory and focus mostly on the problem-solving techniques. This is because the theory is covered everywhere on the internet and books. For example, you can learn the theory for free on this site. 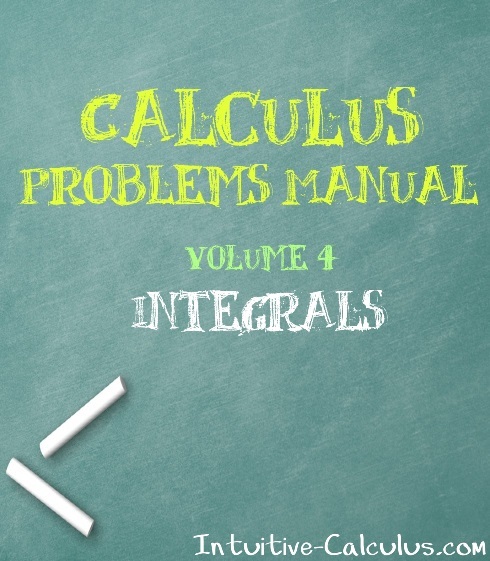 My objective with The Calculus Problems Manual is to help you get a lot of practice solving the types of problems that usually appear on tests. I'll show you the tricks and pitfalls that usually one only learns with experience, so you can take your skills to the next level and ace your next test. Short explanations of the basic theory. Only the essential concepts. A series of solved examples worked out step-by-step (really step-by-step!). Practice problems for you, the harder ones with hints and every single one with full solution at the end. All problems have a similar solved example, so you won't get stuck. This is a series of eBooks you can download immediatelly and start working right away. You can also print them. As they are short (each volume has 50-100 pages), it will be easy for you to print them if you like to work on paper. The advantage over a standard paper book is that you can have them immediatelly after the purchase. I divided the manual in several volumes so you can buy only the one that will help you with what you're currently learning. The price of each volume is 7$. I don't have much production costs, so I can pass the savings to you. Let's talk about the different volumes and what they cover. If you're ready to start developing the problem-solving skills that will help you ace your next exam, click the link below. After you click, you'll be taken to a secure page where you can pay using credit card or PayPal. Immediatelly after you pay you'll receive a download link by e-mail.